bart cats patch, a photo by willlaren on Flickr. 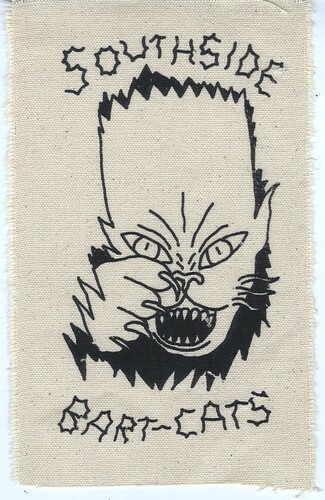 this is the southside bart-cats patch going to people who donated to the slurricane 3 kickstarter. if you didn't donate to the kickstarter I'll also be handing them out for free at my commencement show at MICA. otherwise tough luck.